Nawaro - products are absolute non-toxic and are exclusively made by renewable raw materials; these products don't pollute our environment or our resources. The components of nawaro-products are compostable or receycleable; nawaro products are economical in use and have simple packaging. A careful selection of raw materials and our voluntary control guarantee healthy and ecologically sound products which will fully meet the demand on modern and contemporary products. 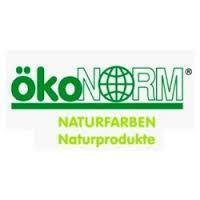 Most of our products are certified by ÖKO-TEST magazine and have obtained the toy certificate spiel gut. Childrens modelling clay on a kaolin basis. It is so soft that children will never have any problems modelling it. Does not smear or stain. Never dries out or hardens. Washable and completely non-toxic. Ingredients: wax, paraffin oil, chalk, organic pigments. 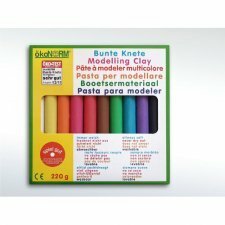 Childrens modelling clay is so soft that even small children will have no problems modelling with it. Lasts forever, never dries out, does not smear or stain. Can be removed from surfaces and clothing by washing. Ingredients: wax, paraffin oil, purified natural chalk, colours. Multi glue sticks paper, cardboard, wood, fabric, plastic, stycrofoam, glass, stones, and many other things. Is quick drying and has various uses, drys clear. Also to use as varnish. Just rub hands to clean off or wash off with water. Contents: aqueous dispersion, based on polyvinylacetat. 50 ml, 100% recycled plastic, odourless. Pastels made ​​from natural materials, you can draw directly onto your fabrics. Not suitable for synthetics or wool. 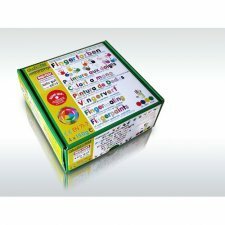 Set of 15 assorted colour pastels packed in a carboard box. Soft pastels made ​​from natural materials: wax of carnauba and berries, oils of citrus and palm. 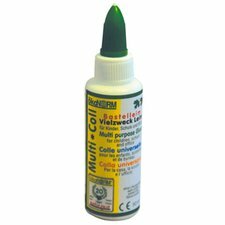 High color intensity and brightness, are very covering and adhere to all smooth surfaces. Raincoats. Packaged in a nice metal box containing 10 pastels. Nawaro Finger Paints are creamy, non-drip, high opacity and brilliancy. Natural, bright paint colours made from renewable raw materials. These natural paints contain natural food colouring and are ideal for all techniques especially popoulr with children: painting, dabbing, stencilling, stamping, scraping, cork and leaf printing and much more. The water-soluble, dilutable paints can be mixed with each other and are suitable for painting on paper, glass*, wood and many other surfaces, with fingenrs of with a paintbrush. 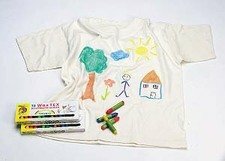 These tried and tested natural paints for children, artists and crafters promote the inborn creativity of children and encourage them to experiment. *in used on window panes, the paints may become runny again to condesation caused by low outside temperatures. Once dry, it is possible to rub the paints off surfaces; they can also be rubbed or brushed off fabrics. 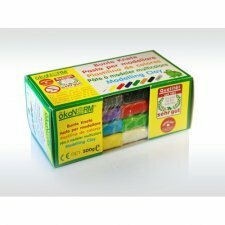 The finger paints are water-soluble and washable. 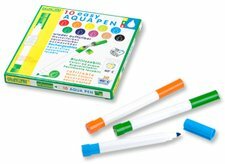 Aqua ideal felt tip markers fro the small artist. 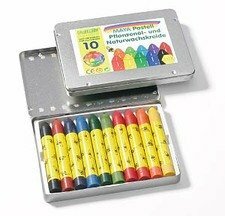 10 markers rechargeable with water. Bright long-life colours. Wet brush workable. Water based colour. 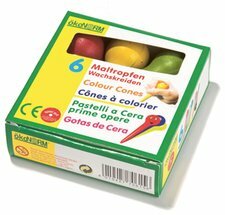 Ergonomic wax pastels, particularly specially designed for small children who may have problems to grasp the classic pastels, hands do not contract thus avoiding possible cramps and are always clean! Perfect for the first writing and drawing exercises. Large areas can be coloured easily with the ball end. Bright colors, non-toxic.Long lasting, break-resistant and washable.